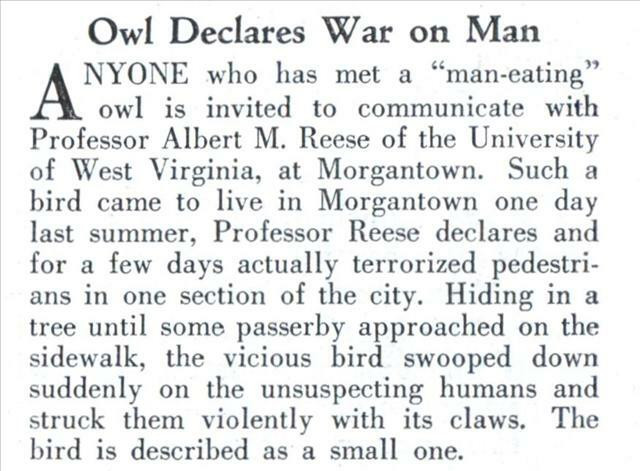 ANYONE who has met a “man-eating” owl is invited to communicate with Professor Albert M. Reese of the University of West Virginia, at Morgantown. Such a bird came to live in Morgantown one day last summer, Professor Reese declares and for a few days actually terrorized pedestrians in one section of the city. Hiding in a tree until some passerby approached on the sidewalk, the vicious bird swooped down suddenly on the unsuspecting humans and struck them violently with its claws. 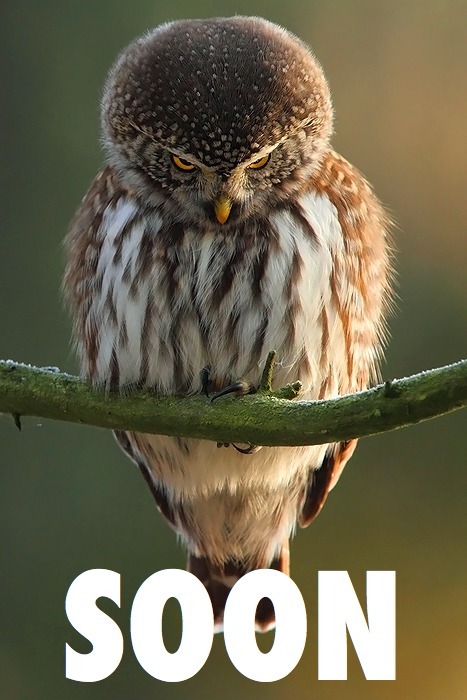 The bird is described as a small one.